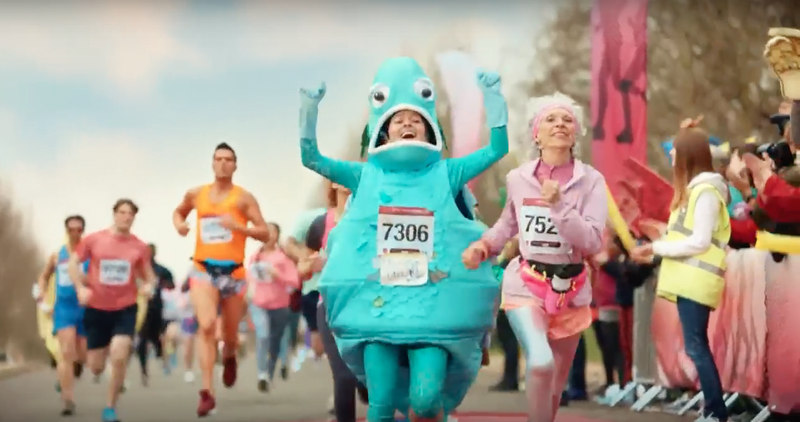 Where was that marathon fish filmed… in the Virgin trains ad? This one…? The big marathon starts in Islington’s Finsbury Square and heads into Haringey. The heroine is running along Eade Road as she sees the table of water bottles, and has one thrown at her, catching it with ease! And the marathon ends in Haringey’s Finsbury Park – where our girl charges across the finish line in glory!